The phase “Look what the cat dragged in,” has many references. However, in this case, it is not an idiom. It is literal. The Avon & Somerset Police were alerted by a homeowner to an unusual item the family cat had brought home. Class A drugs. The owner found a bag next to where his pet was curled up sleeping Monday morning. The goods appear to have been confiscated by the feline while on the prowl Sunday night. Somewhere, there is a dealer wondering what happened. The white and purple powder found inside the bag appeared to be heroin and crack cocaine. The kitty’s haul had an associated street value of hundred of dollars. Although the contents had not yet been analyzed, a police spokesman confirmed their suspicions were it was illegal substances the cat brought back home. 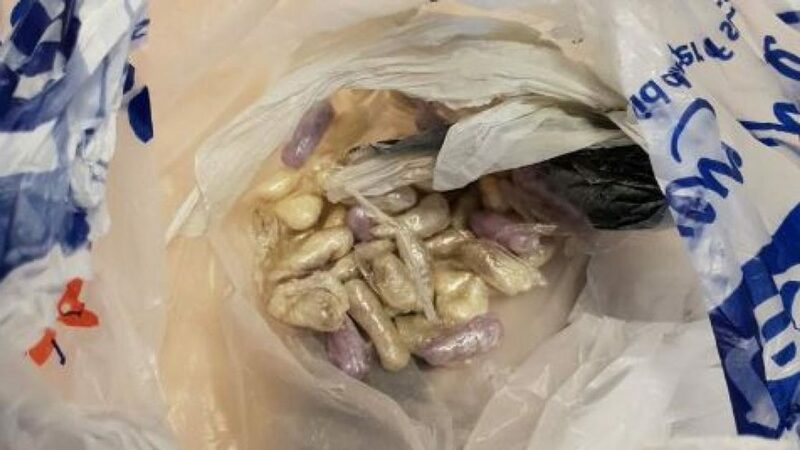 “Forget police dogs, we should start training up cats Apparently the owner found this in the cat’s bed, with the feline curled up next to it!,” Avon and Somerset Police tweeted. Great result in St Paul’s when a resident’s cat brought this in during the night! The owner got a bit of a shock but called us straight away! Maybe this is one of the biggest reasons to keep kitty inside! You never know what may get dragged in. Praise the goddess the furbaby is okay and did not ingest any of this crap.